As our readers know, we spend a lot of time working with our awesome Kilner canning jars around here, but we haven’t posted a lot of canning recipes. We figured it was time to change that. Back in April we featured a post on how to make strawberry jam. 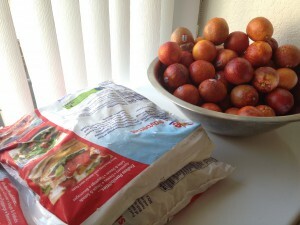 It was a basic recipe on how to make jam without pectin. 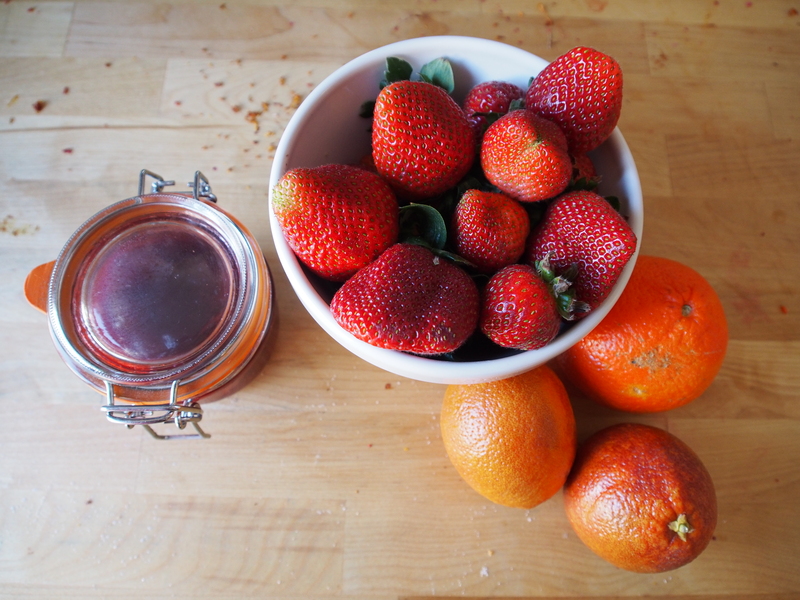 This time, we took our awesome strawberry jam and made it even more delicious by adding juice from some delicious, seasonal, local produce: Southern California Blood Oranges! The best thing about this recipe is that you can taste the blood oranges and the strawberries equally, and they go really well together. So let’s get started. 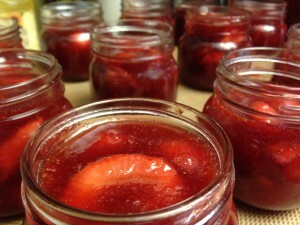 This post will teach you how to make your own jam in just a few easy steps. 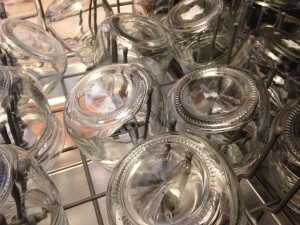 First, let’s start with the basics: How to sterilize canning jars. No matter which way you choose to sanitize canning jars, you start the same way: Giving them a wash with soap and water. 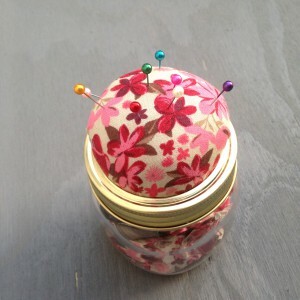 Inspect them, and hold any chipped, cracked or otherwise damaged jars to the side. 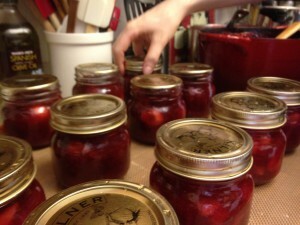 Those jars are great for craft projects, but lousy for canning. Next you either boil the Kilner jars, lids and bands in a big pot of boiling water (lined with a towel or a canning jar rack to keep the jars from chipping) or run them through your dishwasher on a sanitize cycle. You just need to make sure that you time your cycle so that you’re pulling the jars out and filling them when they’re still hot. I’m lucky to have a really nice sanitize cycle on my dishwasher that actually counts down the minutes, so I can have everything ready at just the right moment. 2 10-0z packages of frozen, sliced, unsweetened strawberries OR 20 oz fresh strawberries, trimmed and sliced. * Once I zested my blood oranges, I put them through a juicer, pith and all. 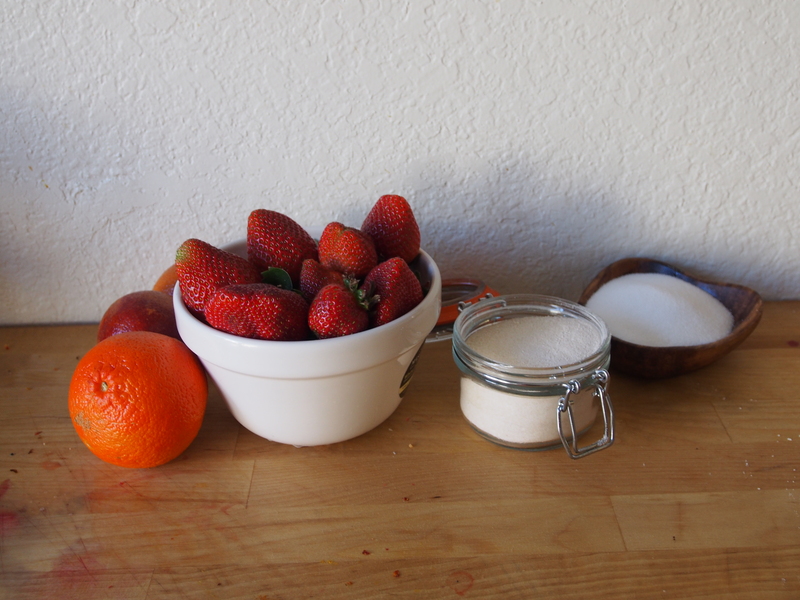 It made for a slightly bitter juice, but in the end, the flavor is balanced by the sweet strawberries and sugar whether you hand squeeze the oranges or juice them in a machine. 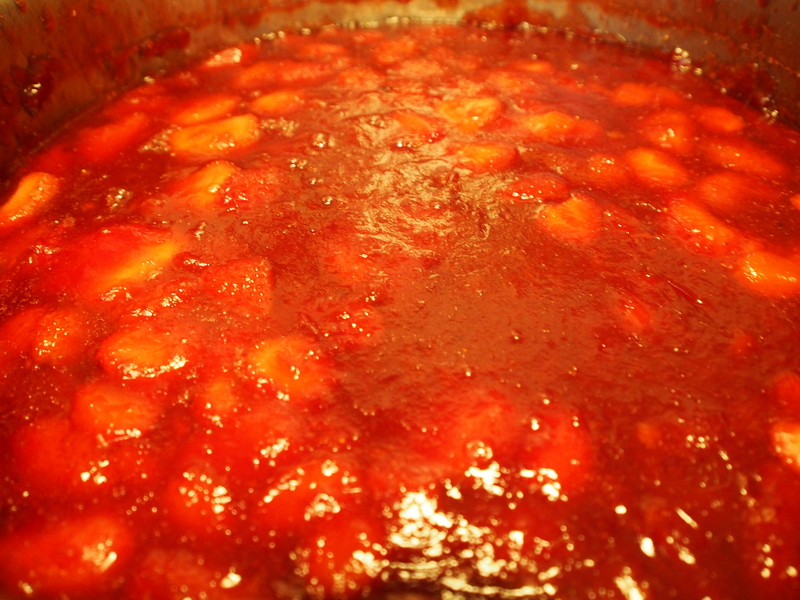 To make the jam, get out a big pot or a jam pan. Make sure it’s a non-reactive pan to get the most beautiful jam possible. Add the strawberries, the blood orange juice and zest, and the pectin to the pot. Heat, stirring constantly with a large spoon or spatula until the pectin is dissolved. 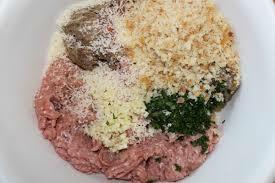 Once everything is dissolved, bring the mixture to a rolling boil, stirring constantly. 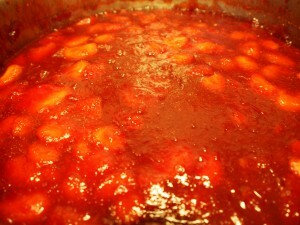 After the jam has boiled for a few moments, add the sugar, and allow the mixture to come back to a boil. Continue to stir it constantly. 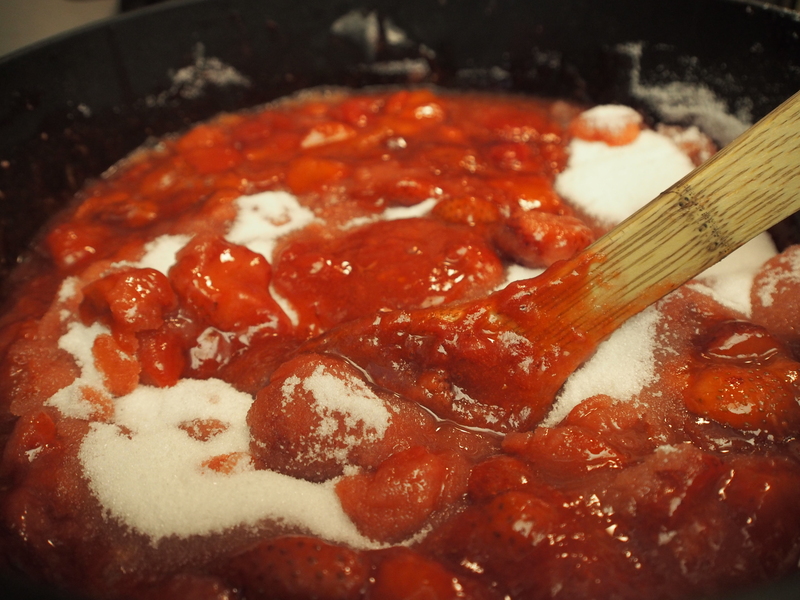 It is very important not to add the sugar until the pectin is dissolved or you’ll end up with a delicious jam that won’t thicken. Frustrating, yes? This is one of the most important things my mother taught me when I was first learning how to do canning at home, and when I mix up my order, things go truly wrong. Once the jam mixture has come to a boil, it’ll begin to foam. 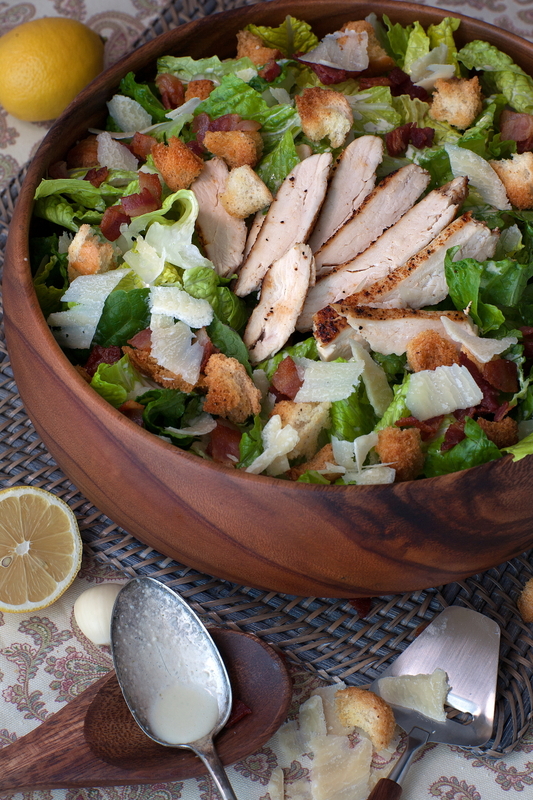 Skim off the foam with a very fine mesh strainer or even a slotted spoon. It’ll ruin the texture of the jam. At this point, let it boil around 5 minutes more, skimming as needed and you’re ready to can. At this point, bring another large pot of water to a boil. Pull your jars out of the dishwasher or pot of boiling water and make sure they’re completely empty. Use funnel to pour hot jam into hot, sanitized Kilner jars neatly, leaving 1/2 inch of headroom for each jar. Wipe the mouths of the jars clean (the most important thing to remember when we talk about how to seal a canning jar) and place the seals squarely on each jar. Screw on each band until just tight, then unscrew each one a quarter turn. Once all the jars are closed, it’s time to process the jars. Boiling jars for canning not only helps the jars seal but it’s a good way to help making canned food last a long time. Remember that pot of water you brought to a boil? Time to use it. Now that the jars are full and closed, it’s time to process those Kilner jars. When I talk to people about canning, the most common questions I get are “how long do you boil jars for canning?” and “how long does canning food last?” Time to answer the first of those questions: Once the jars are full, process them at a rolling boil for 5 minutes. When I say process, I mean put the jars in boiling water for 5 minutes. Make sure the water covers the jars by at least an inch (I prefer 2) and let boil. If your canning goes anything like mine, as you add the jars to the water, the boiling will stop (see above, and pardon the jam-spattered cooktop.) Don’t start timing the 5 minutes until the water is back at a rolling boil. The jam may appear to loosen up a little and become more liquid, but don’t worry, it’ll set up as it cools. After 5 minutes at a rolling boil, remove your delicious homemade strawberry jam with blood orange from the pot (use your tongs, these jars are hot!) 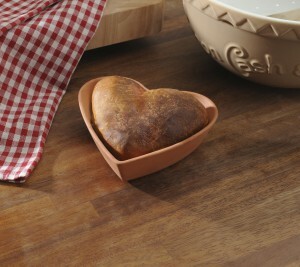 and set on a heat-proof surface. I just put a towel down on my butcher block and lay the jars out on that. You’ll hear little pings and pops as the jars seal. That’s a good thing. Let the jars cool overnight, then test the seal of each jar by pushing the center of the lid. If there’s any give to it, it hasn’t processed correctly, and your jar isn’t sealed. I got lucky in that all of my jars sealed. If they don’t seal, don’t worry, all is not lost. 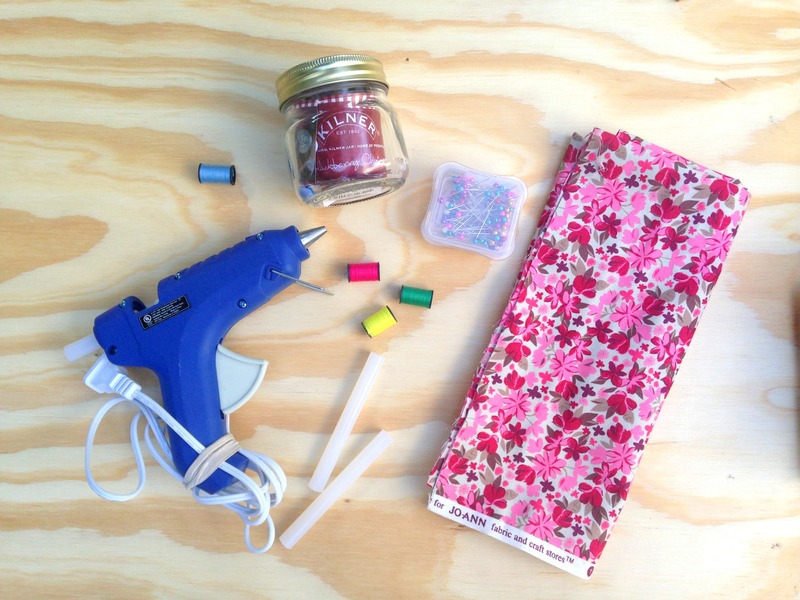 You cannot reuse canning lids (I’ve had a lot of people come to our booth at shows asking “can you reuse canning lids?”) but you can get a spare pack of lids and re-seal your jars. Just wipe the mouths of the jars really clean, and process in boiling water for a little longer this time. Try about 8 minutes and it should do the trick. Once the jars hold a seal, you’re good. The jam should last 6 months at room temperature! 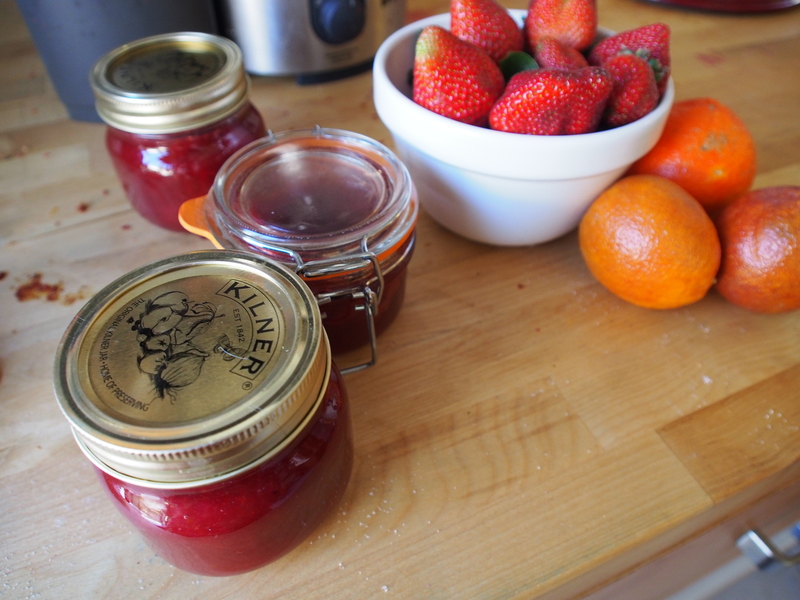 I hope that our little tutorial has you inspired to break out some Kilner jars and start canning. 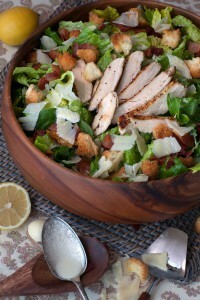 It may seem daunting at first, but it’s a really wonderful way to preserve awesome flavors at the height of the season! Check out our little canning movie on Instagram! 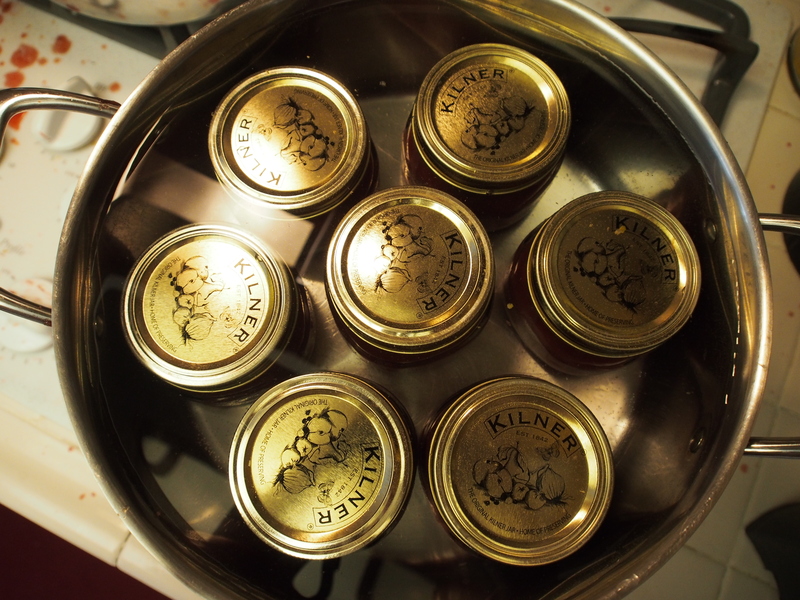 If you want to know more about canning with Kilner jars, come visit us at IHA in Chicago in just a couple of weeks. We’re in the South Building at booth 1667 and we’re happy to tell you all about Kilner jars, canning, and, if you’re lucky, let you try some of this totally delicious jam. I hope you are all having a fabulous Sunday! This weekend has been a busy one for Pacific Merchants Trading Company as we have a photo shoot tomorrow and a few huge trade shows coming up. 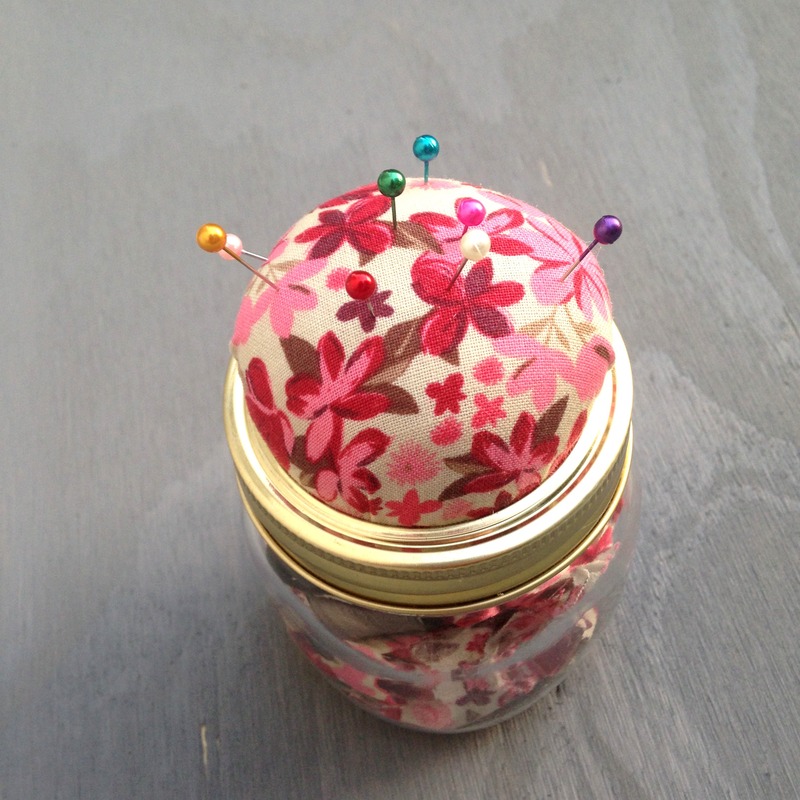 Today I stained wood for tomorrow’s photo shoot, and I also made a DIY pincushion from a #kilnerjar – it doubles as a sewing storage kit. This simple project requires all that you see here plus scissors. So easy, fun, inexpensive and practical! 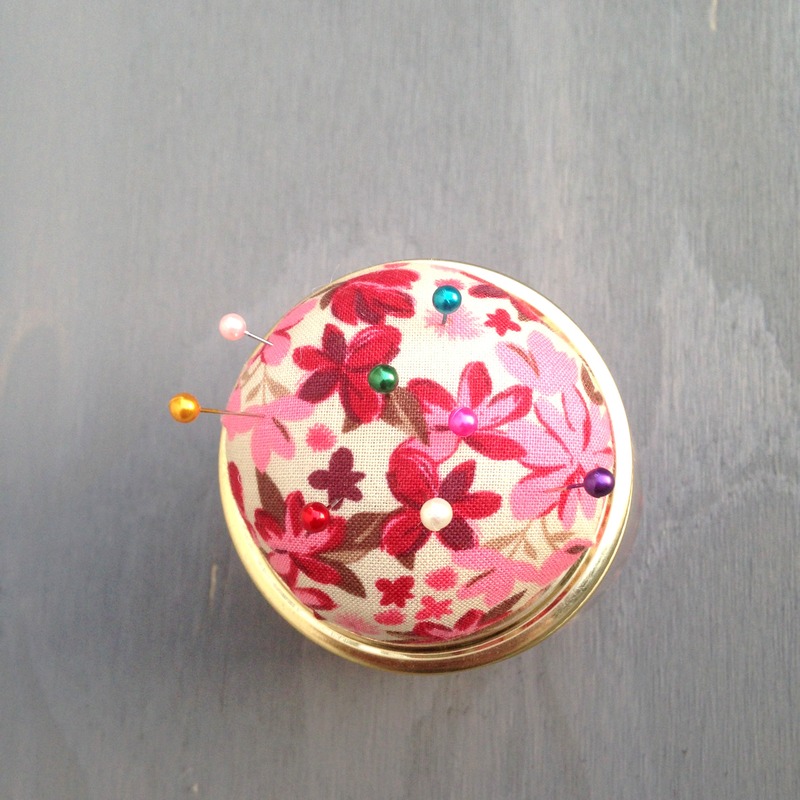 Makes for a great gift or personal item. We suggest using our .25L Kilner Preserve Jars, but the .5L Kilner Preserve Jars also work, especially if you want more storage room. 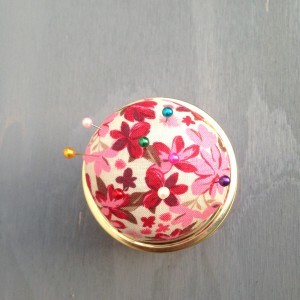 For a full tutorial, visit Take Courage Blog. I had so much fun with this project today. 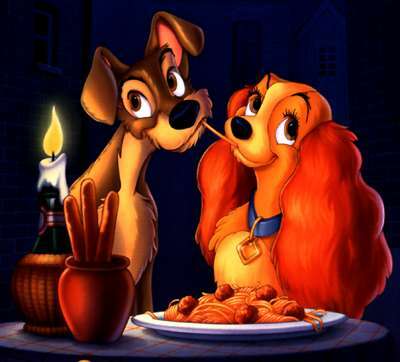 Did you do anything fun this Sunday? Talk to us in the comments, and find more photos at the Pacific Merchants Instagram (@PacificMerchant) and Pinterest.